This magnificent extension provides merchant the ability to sell desired products on auction. This magnificent extension provides a merchant with the ability to sell desired products at auction. The add-on provides a changed pattern in which buyers acquire the products. 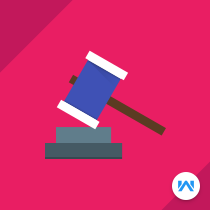 This allows the user of the site to bid in an auction with competitive prices for their preferred products.